July 18, 2014 - First Sergeant Eitan Barak, 20, from Herzliya, was killed and five other soldiers sustained light to moderate wounds in separate incidents. Palestinian officials say that at least 31 Gazans have been killed since the ground operation began, including three children. The operation forms the next stage of the 10-day-old Operation Protective Edge, aimed at destroying rocket fire on Israeli communities and Hamas' system of underground tunnels. 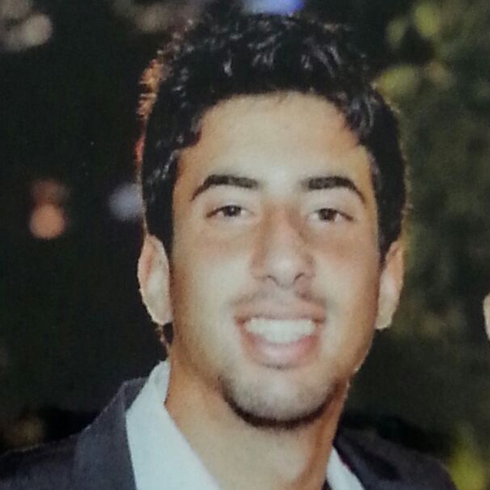 The fallen soldier was identified as Eitan Barak, 20, from Herzliya. The IDF says he killed at around 3am in the northern part of the Strip. The army is investigating the possibility he was killed by friendly fire. Another two soldiers sustained moderate wounds after being hit by shrapnel, and another by gunfire by Gazan fighters. They were taken to the Soroka Medical Center in Be'er Sheva. A fifth soldier sustained moderate injuries as a result of an accident, he was also taken to the hospital but released shortly afterwards.